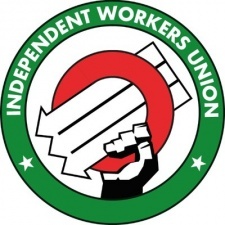 The Independent Workers Union of Great Britain has opened a chapter for employees from the video games industry. The organisation today announced that it would be looking to tackle excessive and often unpaid overtime, crunch, zero-hours contracts - particularly for QA employees - and a lack of diversity and inclusion in the industry. The first meeting of the IWGB's Games Workers Unite branch is being held on Sunday, December 16th, with "hundreds" expected to join in the first few months. This sounds like the Games Workers Unite group that existed already now has the backing of an actual union. IWGB has previously worked to support employees of companies infamous in the 'gig economy', such as Uber and Deliveroo. "For as long as I can remember it has been considered normal for games workers to endure zero-hours contracts, excessive unpaid overtime, and even sexism and homophobia as the necessary price to pay for the privilege of working in the industry," IWGB Games Workers Unite founding member Declan Peach said. IWGB general secretary Dr Jason Moyer-Lee added: "The game workers' decision to unionise with the IWGB should be a wake-up call for the UK's gaming industry. The IWGB is proud to support these workers and looks forward to shining a massive spotlight on the industry." Unionisation for video games developers has been a hot topic this year, with calls for collective bargaining raging at GDC 2018. Throughout the year, there have been numerous studio closures which have served to stoke the anger felt among the development community. The largest of these was The Walking Dead studio Telltale's implosion, which led to a very public outcry from this sector. American video games trade body The ESA has publicly said that it doesn't believe unionisation is a "significant issue", but we, of course, know why that is. Speaking to PCGamesInsider.biz earlier this year, Mike Wilson of Good Shepherd and Devolver Digital said that triple-A working culture was destroying people's lives, but said that a traditional union would be difficult to form given the global and disparate nature of games development. He did say that developers need collective bargaining, however.